JT Eaton Bed Bug Killer is an excellent contact killer harnessing natural pyrethrin and a fine evaporating oil base to kill any strain of bed bug fast. This is important when dealing with an initial treatment to kill off a majority of the population on the very first day. For a quick knockdown this is the best spray available. 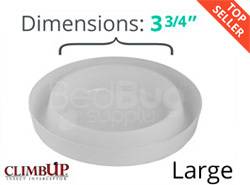 Can be used for a variety of bedbug harborage area including wall joints, baseboards, cracks and crevices. As you begin a bed bug treatment you want something that will kill off a majority of the bed bug population quickly in order to stop the feeding cycle, slow their reproduction efforts and leave up to a 24 hour control inside potential bed bug hiding places. We have reviewed many bed bug contact sprays, but none have given the same results as JT Eaton Kills Bed Bugs Pyrethrin spray. The secret to the spray's success is an added non-messy evaporating oil base that deliver a cocktail approach with pyrethrin for an even faster kill. After 24-48 hours, the sprays gloss will vanish indicating that the spray has evaporated and is no longer killing bed bugs. The included fine oil works by clogging the bed bug's breathing spiracles made up of tiny holes found on their bottom exoskeleton causing them to asphyxiated. By working together, these two ingredient kill every strain leaving nothing behind but dead bed bugs. We suggest using JT Eaton Kills Bed Bug Pyrethrin spray on non-fabric items such as baseboards, inside cracks and crevices, behind and below furniture and along metal bed frames and headboards. JT Eaton Pyrethrin spray uses natural pyrethrin derived by the Chrysanthemum flower to kill bed bug fast having been used for thousands of years to kill a wide variety of insects including bed bugs. Pyrethrin works by impacting the bed bugs nervous system system resulting in death. What is interesting about natural pyrethrin is it continue to evolve with each new harvest as the chrysanthemum flower must continually change it's natural chemistry to remain one step ahead of its insect attacker. For example with pyrethroids or man made insecticides the formulation doesn't change until the recipe changes (this leaves rooms for insect resistance). Thus, with natural pyrethrin each new harvest is an improvement over the last. Always read and adhere to the instructions on the products label to ensure proper and safe usage. 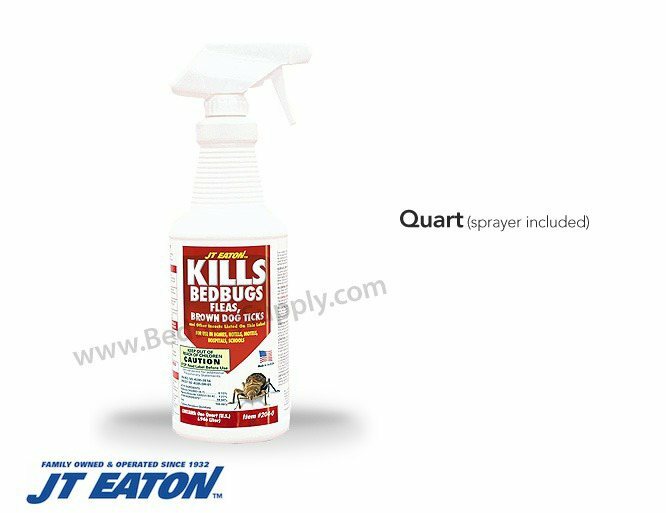 JT Eaton Kills Bed Bug Spray makes up the contact killing portion of our bed bug treatment and still requires the residual (longer lasting spray) and powder found in our complete bed bug kits. 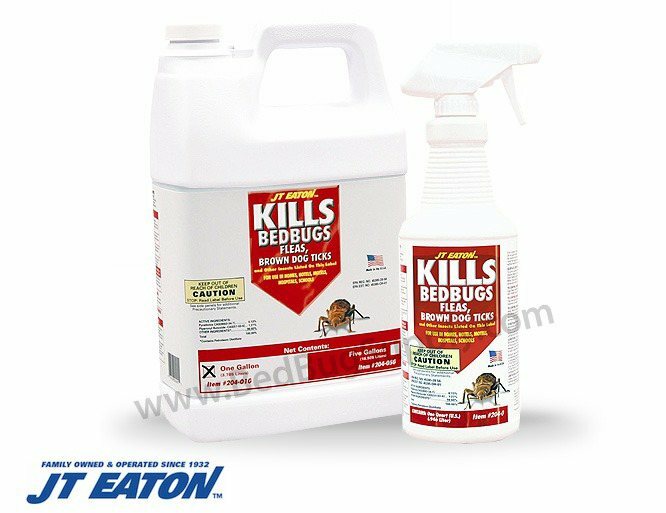 JT Eaton Kills Bed Bugs Spray (red bottle) is an effective contact killer for bed bugs made from an evaporating oil base and natural pyrethrum. Pyrethrum is derived from the chrysanthemum flower and has been used for thousands of years to quickly and naturally kill bed bugs. 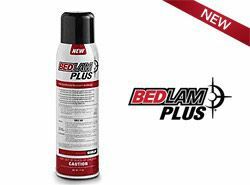 It's killing ability lasts for 24 hours, which is why the Bedlam Plus and JT Eaton bed bug powder is used with JT Eaton Kills Bed Bugs Pyrethrin Spray for longer lasting control. 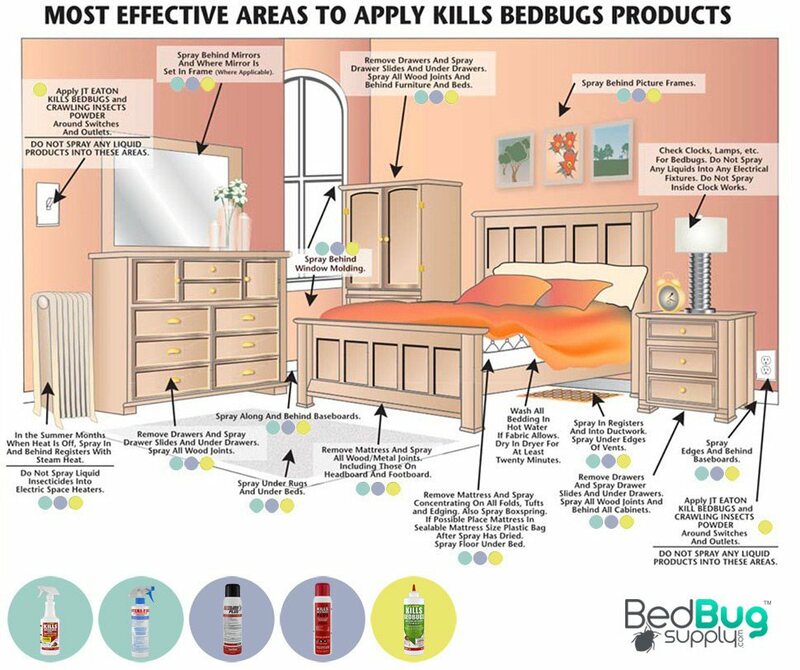 On day one of treatment, we recommend applying the red bottle (contact killer) and Blue Bottle (deltamethrin) before the JT Eaton bed bug powder Green Bottle is applied to quickly knockdown the bed bug infestation. This process should be repeated every 7-10 days (powder is applied during the first treatment only) to ensure all stages of bed bugs are dead. The red bottle can be used on baseboards, cracks and crevices. As with other insecticides, less is more. Only a light spray is needed to be effective. Please read the directions on the bottle thoroughly to ensure proper and safe usage. Before applying any of the JT. Eaton bed bug products, we recommend using our Professional Bed Bug Steamer on the edges of the room and inside cracks and crevices (allow to dry for one hour or until fully dry). Q: Is the spray pet friendly? This product is toxic to birds and fish, and should not be used near uncovered aquariums. Remove all other pets and children before you begin your treatment, and make sure that the treated surfaces are dry before allowing them back into the room. Q: what is the difference between bed bug spray (contact spray) and red beg bug spray and do you have something that kills the eggs ? 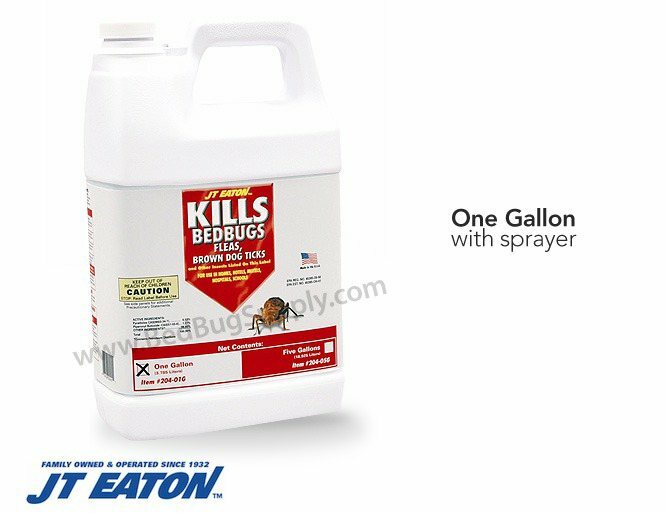 If I understand correctly, you're asking what the difference is between this product and JT Eaton Kills Bed Bugs Plus, which is in a red aerosol can. JT Eaton contact spray is oil-based, and kills bed bugs quickly on contact, while JT Eaton Plus is an aerosol-based residual spray, meaning it lays down a foamy residue that kills bed bugs over the course of several weeks. Q: Is the oil-based spray NOT recommended for use on mattresses or box springs? That's correct, we do not recommend this product for mattresses or box springs. Oil-based sprays should only be used on non-fabric surfaces like baseboards, floorboards, and bed frames. For fabrics like mattresses, box springs, and upholstered furniture, use STERI-FAB as a contact spray, and Bedlam Plus as a residual spray. Take care to only spray the seams and folds of the mattress, and not the sleeping surface on top. Q: Using the bed bug sprays, do the people have to leave the home. Will it do anything to their health? It is not necessary to leave the home while using any of our products. All EPA-registered insecticides have labels on them that instruct on safe and effective usage. As long as you follow the instructions correctly, then they are perfectly safe. Q: Is jt eaton bedbug spray harmful to humans? No bed bug spray approved for use by the EPA is harmful to humans when used correctly. As long as you follow the instructions on the product label and MSDS, you'll be fine. If you have any serious medical conditions, you should play it safe and consult with a doctor before using sprays. Q: will this spray kill scabies also? This spray is not labeled for scabies. Also, we are bed bug specialists only, so we cannot give product recommendations for other pests. Q: I am getting this for my son who has them. Can I just get the contact spray with the quart and use it as an area treatment as well? I'm trying to do this as cheaply as possible as we're tight on money. It is highly unlikely that contact sprays alone (or any spray-only treatment) will get rid of bed bugs, even if it's a small isolated infestation. Unfortunately, bed bug treatments are more complicated than that, and will cost more accordingly. For your convenience, we've partnered with PayPal to work with their Bill-Me-Later program. Q: I'm confused. The answer to one question states this shouldn't be used on mattress & box springs. However the instructions on the bottle say to spray mattress lightly. So which is correct? The previous answer stated that we do not recommend this particular spray for mattresses, not that it can't be used for mattresses at all. We recommend STERI-FAB for mattresses, box springs, and upholstered furniture due to its faster drying on those materials. Q: I can spray this on my couch? JT Eaton contact spray is not explicitly labeled for couches or other furniture. I would recommend using STERI-FAB as a contact spray for your couch. Q: I am preparing to move via U-Haul. Living in Chicago and having experienced bed bugs previously, I am extremely nervous about the moving truck. Is this spray a good preventative to spray in the empty truck prior to loading? No. This is a contact spray and not labeled for what you're describing. This stuff actually really work!! I was a little worry about this product from pass experience but I filled every hole and crack around the room and have not got bitten once. And (FYI) the bed bug can last over a year with out feeding I got my stuff from storage which had bed bug in them 9 month ago thinking they were dead I was so wrong learn that the hard way. But now bed bug free 100 percent I can finally sleep with out waking up every hour 2 scratching myself to death. Reviewed by: Jeffrey from florida. this stuff works kills on contact . not just bed bugs but roaches as well . I used all three products from them .but for sure the red bottle is powerful when spraying to kill the roaches and bed bugs. Reviewed by: neka from new york . This stuff works almost instantly. Kills those little suckers as soon as it hits them. I highly recommend it, and follow up the the residual spray for long term protection. Reviewed by: Don from South florida. Reviewed by: Denise from Barrington, RI. Just got done putting the climb up interceptors under the bed legs, while moving the mattress I noticed a couple of colonies on the underside. Luckily I had the red spray bottle handy and zapped them as they started to scatter. It stopped them dead in their tracks! Reviewed by: Micky from IN. Reviewed by: Joe from estados unidos. it works as advertised thanks! Reviewed by: william from Winter Garden, FL. Reviewed by: Mary from IN. Reviewed by: Diane Gaskill from San Jose. Reviewed by: GUILLERMO from BROWNSVILLE.